About Us – HAMR Inc.
Husky And Malamute Rescue Inc. was whelped on the 9th of October 2015. We are a registered Not For Profit, fully insured Incorporation and Charity. We have worked hard to attain Charitable Collections Licence and have also obtained our Deductable Gift Recipient status. We are a passionate volunteer based committee dedicated to rehabilitating and re-homing Huskies and Malamutes and their crosses across the state of Western Australia. All of the dogs that come into HAMR care are fully vet checked, sterilised, vaccinated and all other health related issues are attended to, including grooming. Our committee consists of 60+years of experience with the breed. On our committee we have experts in their field of Nationally Accredited Companion Animal Trainers, Nutrition Consultant, Professional Spitz breed groomers as well as many years of experience being owned and loved by the breeds, not to mention 16 years of experience in rescue already. Through our policies and procedures we endeavour to find our rescue dogs their new furever home. Their new families will also have lifetime support with HAMR. HAMR is a foster-based rescue group. ALL of our foster families are screened and stay in constant contact with us here at HAMR. We work alongside with our HAMR helpers to ensure the safety and wellbeing of our rescue fluff butts whilst they’re in our care. We are fortunate enough to have the support of many local pounds, reputable registered breeders, as well as our generous sponsors. Without the generosity of our supporters, through donations and fundraising, we wouldn’t be able to save and re-home our rescue dogs. Australian Charities and Not-for-profits Commission (ACNC) is the independent national regulator of charities. 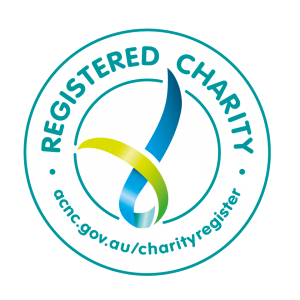 The ACNC has introduced the Registered Charity Tick to help charities show the public that they’re registered with the ACNC and as such highlight their charitable status with the below logo that when clicked on takes you to the ACNC listing.